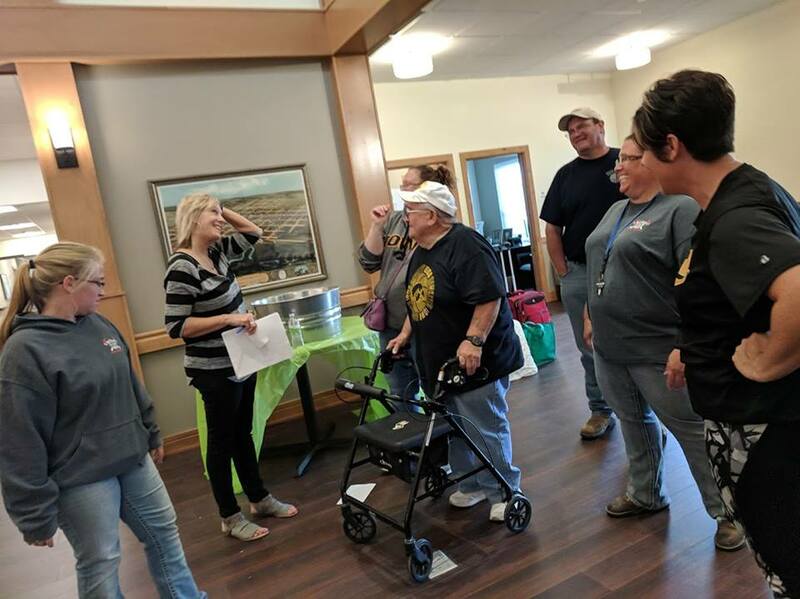 After a tornado ripped through the heart of Marshalltown Thursday afternoon, many citizens were forced to evacuate their homes, including the residents of The Embers Retirement Community. Embers, which was partially damaged by the tornado, required that all residents evacuate for safety precautions. While most residents were able to comfortably move out and stay with family, 26 members were still in need of a temporary home. However, in true Iowan fashion, people throughout the community stepped up to help. The Willows of Marshalltown, an assisted living community set to open this fall, welcomed Embers residents with open arms. The Willows Owners, Ben and Mira Daniels, were eager to help. “Bring them all here,” Daniels said after he heard the news. While The Willows is not set to open until Sept. 1, the facility has 58 completed rooms. Unfortunately, all the rooms are unfurnished. This, however, did not pose any problems for the Embers residents. Local furniture store, Stalzer’s Home Furnishings & Sleep Shoppe, donated 30 mattresses and frames to The Willows for the residents to sleep. Stalzer’s is not the only one to help The Willows bring in residents. Daniels explained that he has been receiving messages and calls nonstop from people asking how they can help. From food donations to volunteer work, citizens have been more than willing to help. Nurses and staff at The Willows have gone above and beyond in order to ensure the elderly have a comfortable experience. One nurse gave out her number to all the temporary residents in case they needed anything while she was not working. The Daniels are shocked and devastated by this disaster but, are thankful they are able to help as much as they are. If you are interested in making a donation or helping The Willows of Marshalltown house the residents, visit their Facebook page for more information and updates.